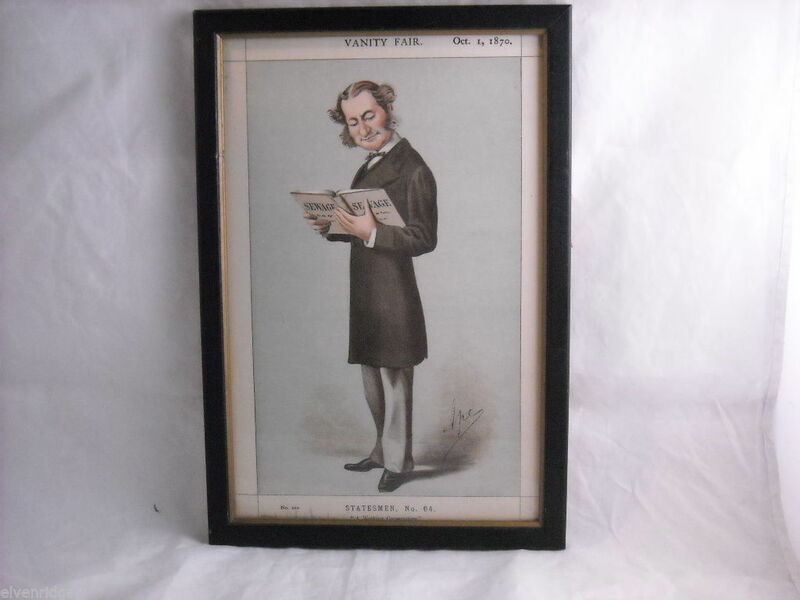 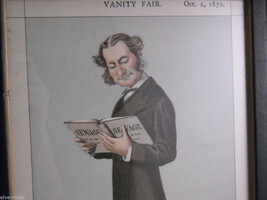 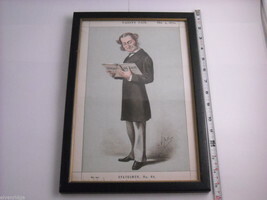 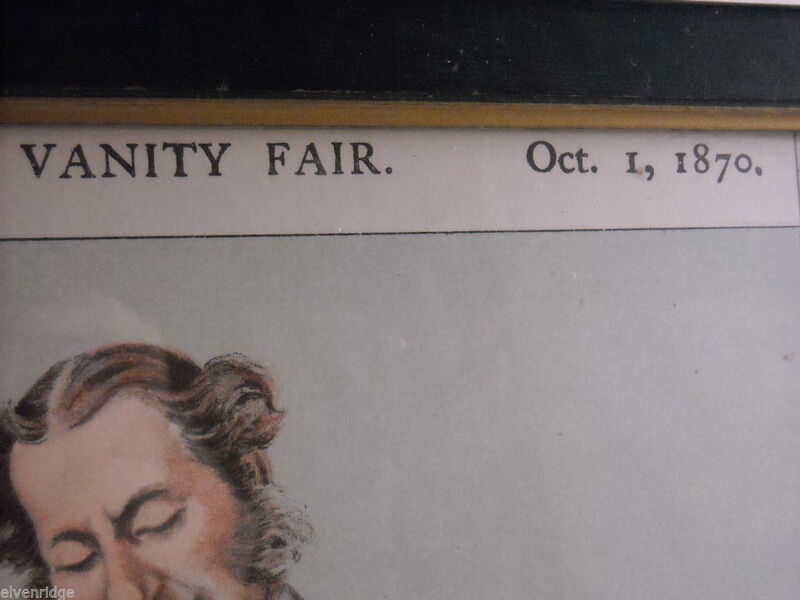 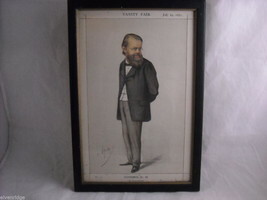 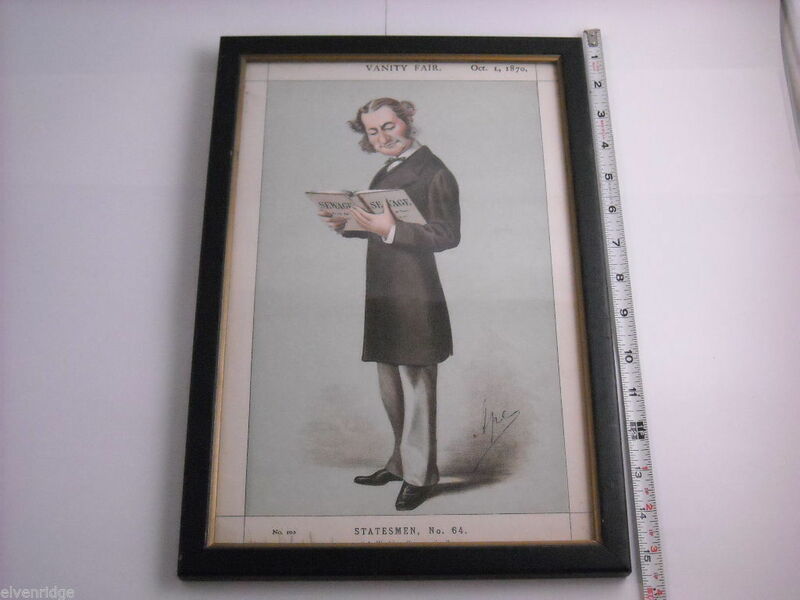 This framed print of Lord Robert Montagu is from an October 1, 1870 edition of Vanity Fair. 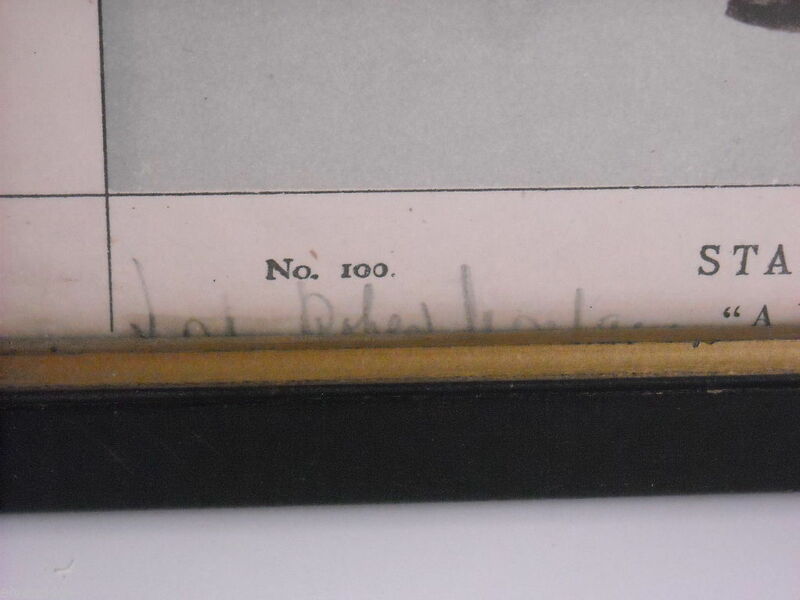 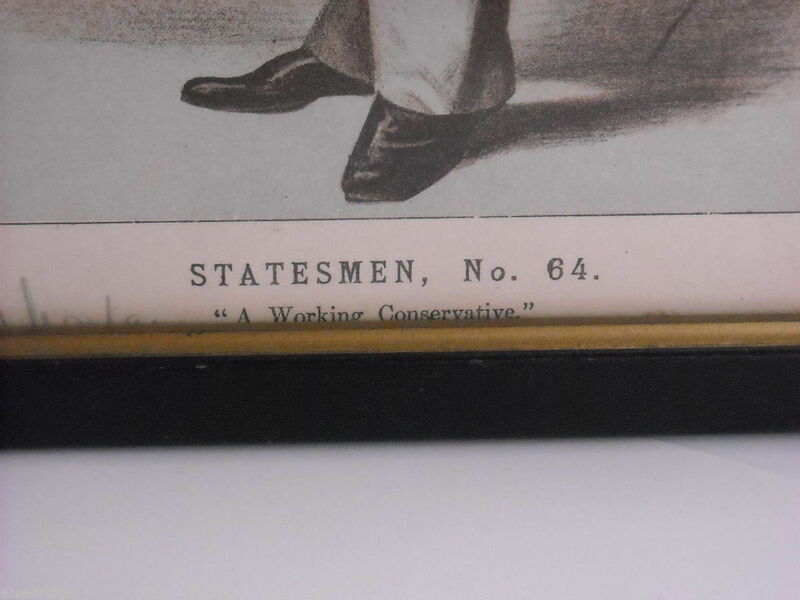 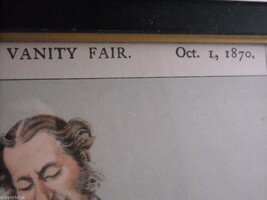 At the bottom of the print is "Statesmen No, 64 'A Working Conservative.' 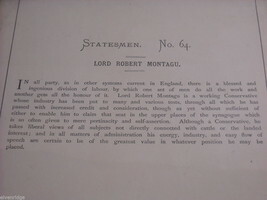 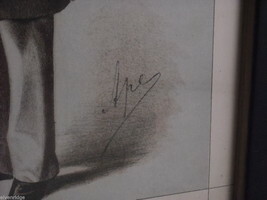 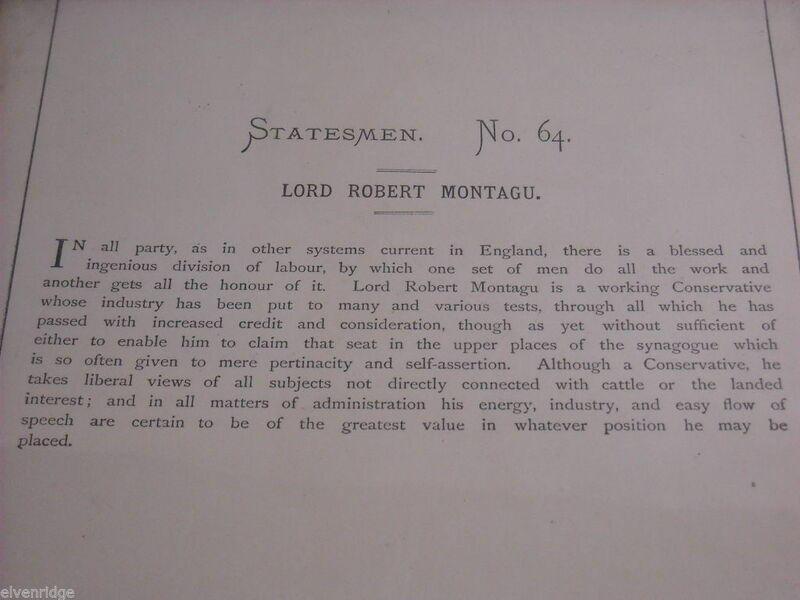 On the back is a mini biography of Robert Montagu with signature of artist and Lord Montagu's signature on front. 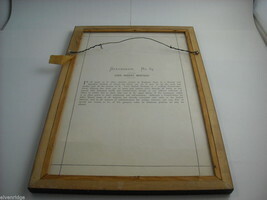 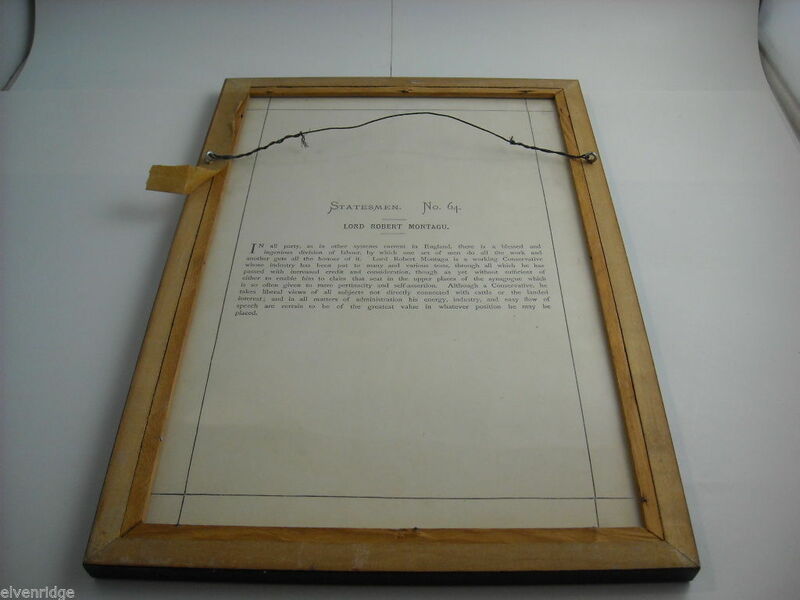 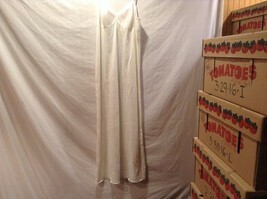 The print is held within a black frame with gold inside trim. 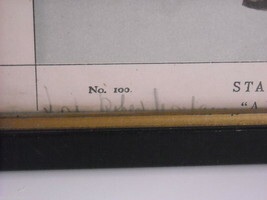 Measures 15" x 10" x 3/4".